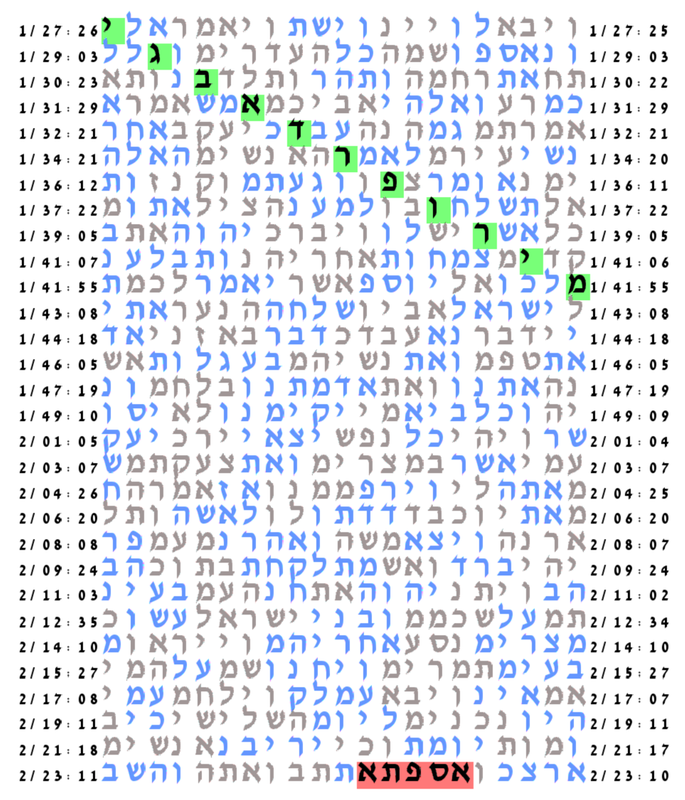 This experiment was originally suggested by Dr. Alex Rotenberg and was presented by him at the 1995 International Conferences on Torah Codes in Jerusalem. 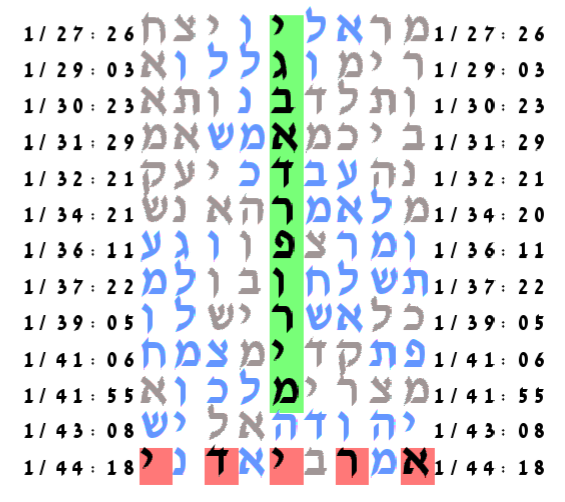 His original experiment was to pair the names of the 10 sons of Haman with the date 13th of Adar, the date that the Megillah Esther states that they were killed. The experiment was conduced in accordance with the WRR methodology in the book of Genesis. The results were not statistically significant. We repeated that experiment with our methodology in the Chumash and also obtained statistically insignificant results. Later Dr. Rotenberg examined the ELSs associated with the various Hebrew forms of expressing 13th of Adar and found that one of them had an extension: Purim. He did a WRR-like experiment involving Purim related key words against this axis and observed a p-value of less than 1/1,000. More details can be found in the book And All This is Truth by Dr. Alex Rotenberg. Clearly, he thought this ELS with the extension is the one around which ELSs for the names of the sons of Haman should be examined. So he conducted a second experiment in the book of Genesis and obtained statistically significant results. 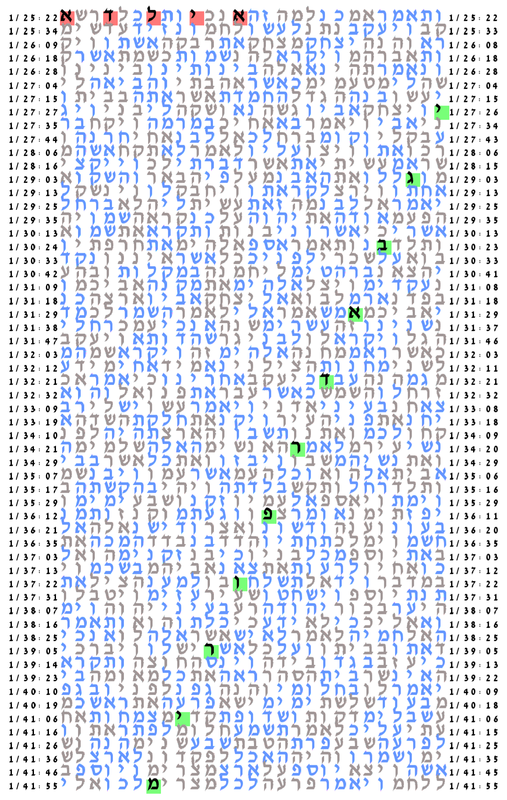 We repeated his second experiment in the Chumash in accordance with our main standard experimental protocol to test the Null hypothesis of no Torah code effect against the Alternative hypothesis that in the Chumash nearly all the names of the sons of Haman have their ELSs in a more compact meeting with the unique the ELS of the key word: 13th of Adar Purim, יגב אדר פורים, than expected by chance. The spelling of the names of the sons of Haman is taken exactly as it appears in the Stone Edition of The Chumash in the ArtScroll series, Mesorah Publications, Ltd., Brooklyn, NY, 2000, page 1260. 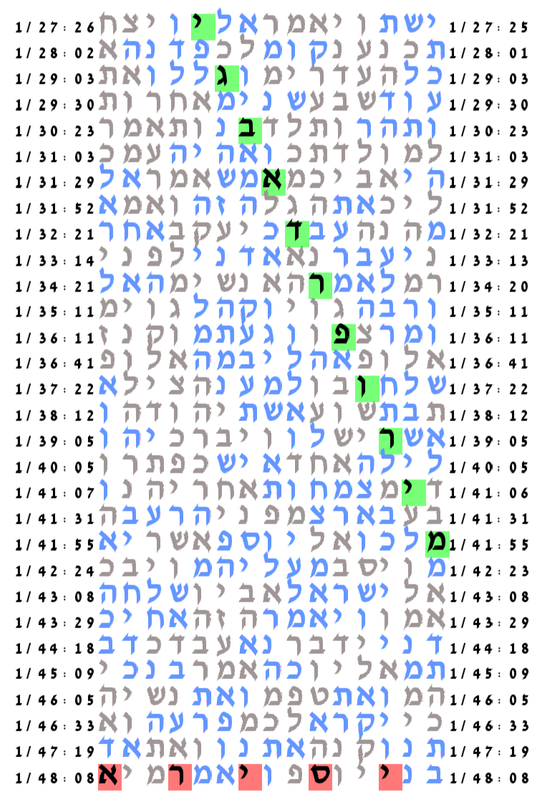 Since there are some versions of the Megillah Esther, having variant spelling of the son Ariday from the spelling that appears in ArtScroll. We augment the ArtScroll spelling of Ariday with the variant. The p-value of the experiment was 16.5/10,000 so we reject the Null hypothesis in favor of the Alternative hypothesis that nearly all the sons of Haman have ELSs of their names in more compact meetings than expected by chance. It is natural to want to see the more compact meetings. But we must remember that the protocol we use does not just look for the best meeting. The test statistic takes into account all meetings of ELSs of the one key word with the other. So the best meetings do not tell the whole story. Four of the best meetings can be displayed in a one page table and we show them.